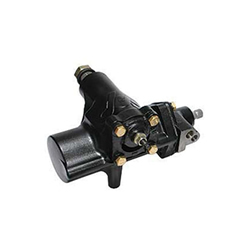 Affordable Power Steering are the power steering specialists you can trust to get the job done on time and to do it right. 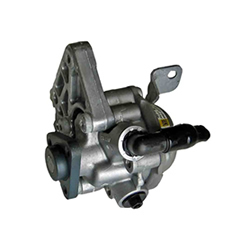 Affordable Power Steering have been based in Labrador on the Gold Coast for sixteen years. We have built a strong reputation through consistent quality, service and extensive product knowledge. Our fully qualified mechanic has had twenty six years experience servicing all automotive makes and models. All workmanship for repairs and rebuilds are carried out in our own workshop, quality is controlled from rebuild to fit. This ensures that our overheads are low and as a customer you benefit from lower service charges ensuring that more money stays in your pocket. All our products are re-manufactured on site to exacting standards and are put through rigorous testing to ensure the finished product you end up with will stand the test of time. Mount Isa, Cloncurry, Julia Creek, Richmond, Hughenden, Townsville, Bowen, Airlie Beach, Mackay, Sarina, Moranbah, Clermont, Emerald, Blackwater, Barcaldine, Longreach, Winton, Kynona, McKindley, Blackall, Tambo, Augathella, Charleville, Morven, Mitchell, Roma, Wyandra, Cunnamulla, Bollon, St George, Thallon, Hebel, Lightning Ridge, Enngonia, Bourke, Brewarrina, Wagget, Cobar, Dubbo, Glen Innes, Gin Gin, Goondawindi, Moonie, Warwick, Stanthorpe, Grafton, Roma, Toowoomba, Dalby, Miles, Chinchilla, Biggenden, Taroom, Upper Dawson, Rooleston, Springsure, Wowan, Monto, Biggenden, Hervey Bay, Maryborough, Tin Can Bay, Gympie, Noosa Heads, Yandina, Nambour, Moolooaba, Caboolture, Woodford, Redcliffe, Burpengary, Oki, Kilcoy, Esk, Dayboro, Ipswich, Browns Plains, Beenleigh, Beaudesert, Tamborine Mountain, Murwillumbah, Knigscliffe, Mullumbimby, Byron BAy, Lismore, Ballina, Casino, Wardell, Broad Water, Evans Heads, Maclean, Coffs Harbour, Kyoglie, Wooden Bong. 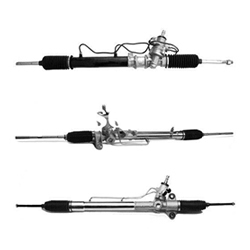 Affordable Power Steering have been based in Labrador on the Gold Coast for sixteen years. We have built a strong reputation through consistent quality, service and extensive product knowledge. Our fully qualified mechanic has had twenty six years experience servicing all automotive makes and models.